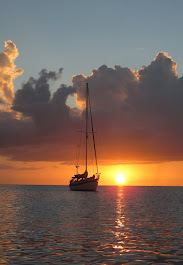 S/V LAYLA: How About Some Sun? Miserable in NC. 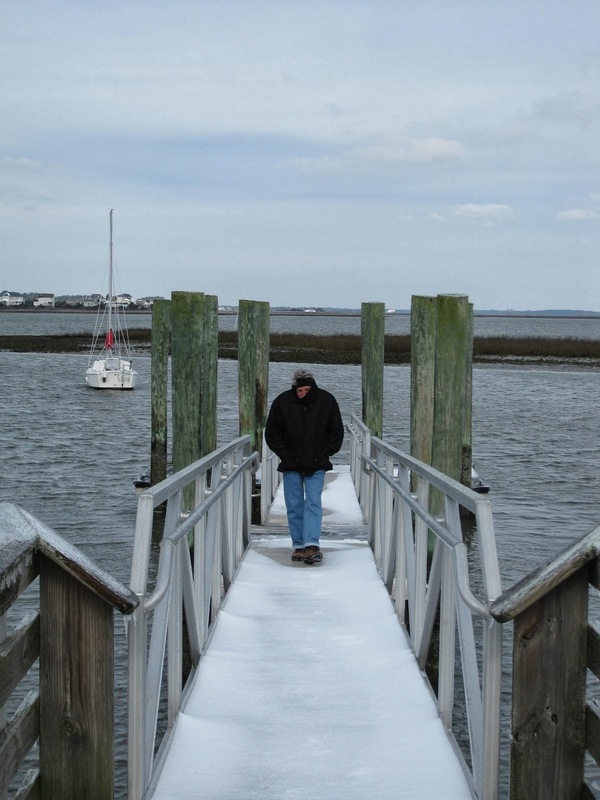 A walk to our local Conchs Point pier after the first of several polar vortexes this winter. Sorry about the lapse in posting. Our internet access remains a challenge as we have to run to the local library to get connected. It is a good library and blaming it for our lapse is a poor excuse we admit. We have been active over these many weeks. Here is the first of several installments to catch up. 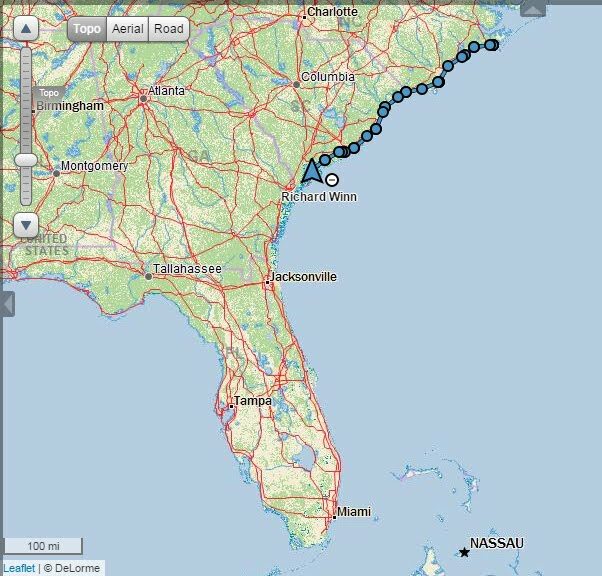 We are still here in Beaufort, NC. We did not move south as had been rumored. It has been a long winter. Although we have not had a winter as severe as many of you, we have had enough snow, sleet, freezing rain, and relentless wind and cold to give us a terminal case of cabin fever. We tackled numerous boat projects in fits and starts as the weather cleared for a day or two, and then we huddled at the house as the arctic fronts blew across the country again and again. 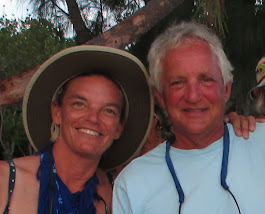 We were not ready to go with many of the new cruising friends we met in the boat yard, and had to say “bon voyage” as they headed south. It was lonely in the boat yard. We tired of the gray, wet days and longed for the sun. We reasoned that since we weren’t getting much done on the boat, we needed to escape to Arizona to visit family, friends and the desert. Ah the desert. We did not visit just any desert- the Sonoran desert of the great Southwest. Having grown up there I am biased, but many agree that the desert around Tucson remains among the most diverse and beautiful on the planet. On this visit, I saw the desert as if seeing it for the first time. I saw spanning in every direction, the vast sky of implausible blue meet the horizon interrupted by purple-blue mountain peaks. From the large and small peaks, to the foothills, dry river beds and the desert floor, the geology is all exposed here to reveal remarkable stories of volcanos, ancient seas, upheavals, weathering and time. Even the most reluctant student of the desert can soon read these stories. Geology exposed. 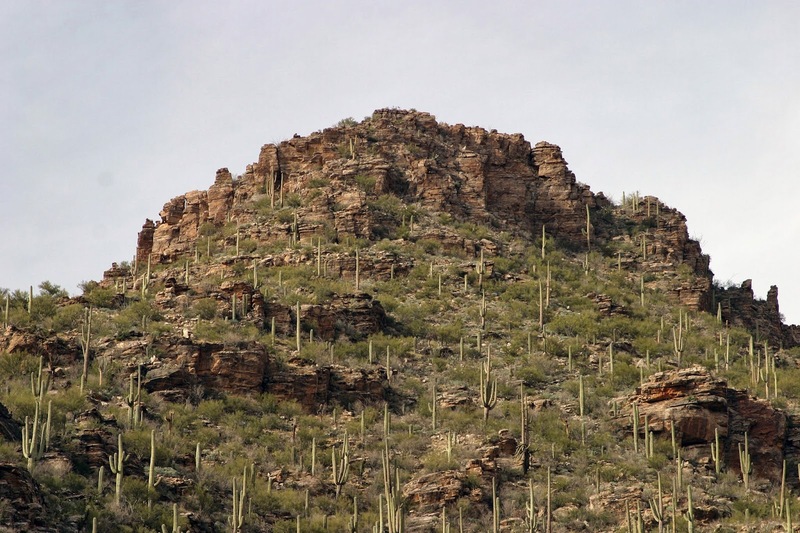 Saguaro cactus studded peak in Happy Valley, another wonderful nature trail east of Tucson, AZ. The Sonoran desert may not be what many might consider lush, particularly if they are most familiar with temperate forests, but this desert is rich with a diversity of plant and animal species adapted exquisitely to thrive here. One of my favorites, the icon of the desert landscape, the giant saguaro cactus only grows in the Sonoran Desert of southwest North America. A ten year old saguaro may be only as tall as your finger, but you may see an adult up to 50 feet tall. Such an adult would be about 150 years old! 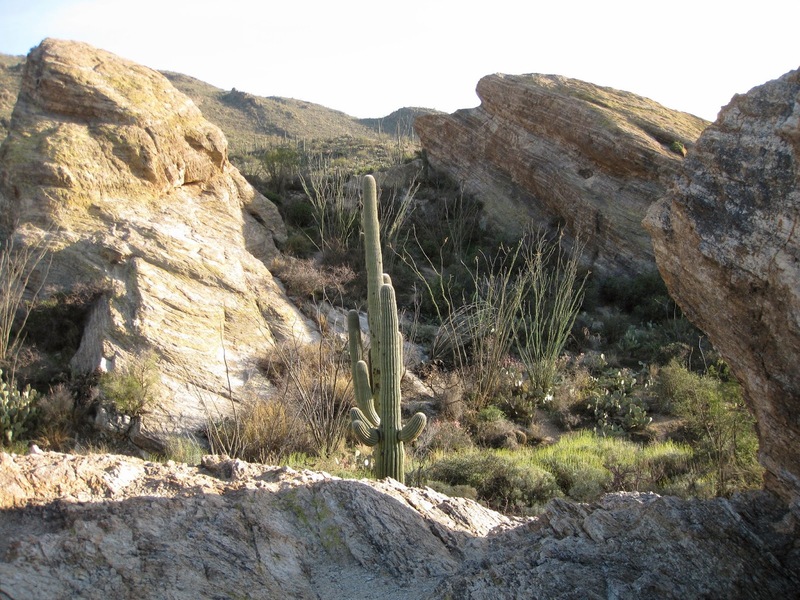 The Saguaro National Monuments located to the east and west of Tucson, are excellent places to immerse in the desert landscape. If you can, visit in the spring to see the desert in full bloom. Saguaro’s at Javalina Rock in the Saguaro National Monument East. Never ending discovery. Tracy learning more about the saguaro cactus of the Sonoran Desert. Stay tuned for more postings about our quest to find the sun through our recent travels in Arizona and Mexico.